Raymond started playing guitar when he was 11 and after the passing of his father when he was 13, Raymond switched to bass, which led him down the path of pursuing music. He started playing in bands in high school with his cousin and various friends and even built his own bass in wood shop which he still has and uses today. He then moved on to the Jazz Ensemble program at Weber State University for his first year of college. 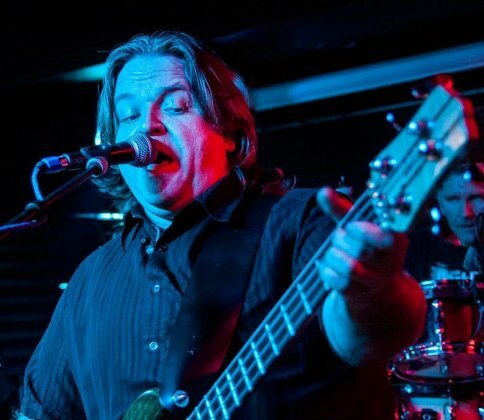 As he matured as a musician, Raymond would have his bass serviced and it just never seemed quite right when he got it back, so he started learning how to get the setup he wanted out of his instrument. As he purchased other basses along the way, each one would have it’s own set of circumstances which he had to address differently to get the instruments setup to his way of playing and thus, started his instrument repair fascination! Raymond’s aspects of repair knowledge expanded as he grew as a musician and he then started fixing his friends and friends of friends instruments. He’s learned various tips, tricks and techniques from other luthier/repair techs along the way and has become Fender, Cordoba and Guild certified. 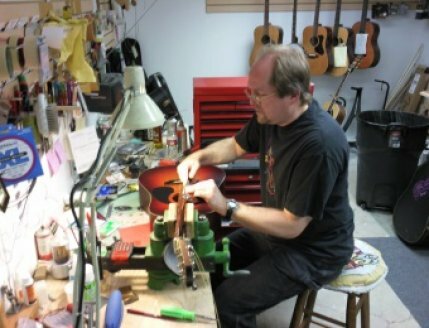 Starting in 2009, Raymond started working at Guitar Czar where he had been guided by Eric Sopanen and he had learned a lifetime of repair knowledge from his 25+ years of repair expertise. Raymond learns new techniques everyday that expand his working knowledge of the repair industry and he hopes to keep learning new and innovative ways of repairing and maintaining some of the finest musical instruments that are built today! 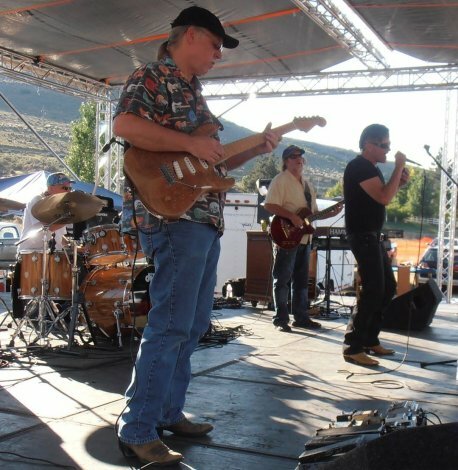 Raymond has met and played with some of the most talented musicians in the Salt Lake Valley and surrounding areas in his path of performing and repairing and he hopes to met many more. He keeps working toward being one of the top luthiers in the state! I got my first music store job in 1977 at Hogan’s House of Music in Lawndale, California. It was there, working for owner Chuck Block, that I first fell in love with the idea of eventually owning my own guitar store. Incidentally, 2 people that were part of that shop at the time went on to become well known professional musicians, namely Ron Block, the owners son, (Alison Krauss and Union Station) and Gilby Clarke (Guns & Roses, Gilby Clarke band). The shop had an expert luthier on staff named Scott Kimber, and by hanging out with Scott, observing and generally annoying him, I learned a lot about guitar repairs. In late 1979 I left Hogan’s to work for the new Guitar Center store in Santa Ana. After about a year I was transferred to San Jose as store manager there, where I stayed until 1984. As manager I would get to work grand openings of new guitar Center stores like Sherman Oaks, Chicago South, and others. At the time they only had 7 stores! After Guitar Center, I went to work for K&K Music in San Jose, then San Francisco, Sacramento, and back to San Francisco again in 1988 until 1992. At that time I still had the dream of my own guitar shop. In ‘92 I moved here to Salt Lake City to partner in a shop called Guitar Gallery, then in ’93 I left to open my own shop called Guitar Czar. It was 1100 square feet, located in the same strip mall as now. All during this time I had been working on my own guitars, my friends’ guitars, and doing some adjustments on customers’ guitars too. I opened Guitar Czar as a sole proprietor with no employees, and started repairing guitars professionally then. Terence Hansen was the first guitar teacher there. For the first 18 months I took no money from the store, just put it all back into building inventory, and lived off gig money. I then hired David Williams as my first part time employee. In 1996 we had outgrown the original space and moved to the current location with almost triple the space. I then hired my first full time employee, Rehan Jacob. We number our repair tags sequentially, and started with #0001. Currently we are approaching #18,000, and I know I performed at least 10,000 of those. I have done many setups, fret dresses, tuning key replacements, pickup replacements, refrets, custom wiring, rewiring, bone nuts and saddles, strap button and strap lock installations, among other things. I do not currently repair broken/cracked wood, or repair finishes. Among past guitar repair clients are Air Supply, Tower of Power, Deer Ticks, Howard Jones, the Stevie Wonder group, and the Dandy Warhols. I have gained a strong reputation as one of the best in Utah, with tons of return customers. You can trust me with your guitar, I will treat it better than I treat my own. 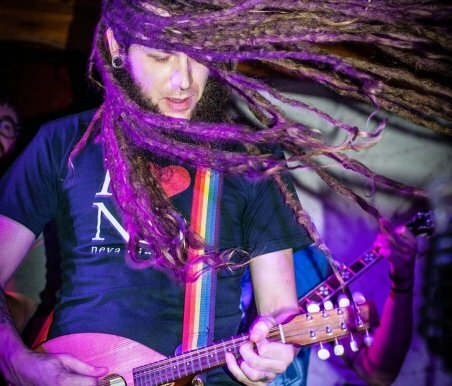 A graduate of the Roberto-Venn School of Luthiery, Moses McKinley has been working full-time since 2010 building custom acoustic and electric guitars, and doing repair work on a variety of stringed instruments for Guitar Technologies, Guitar Center and Riff’s Acoustic Music, Acoustic Music, Guitar Chimp, and now Guitar Czar. Moses started taking guitars apart and putting them back together at the age of 14, and never really stopped doing it. Moses has three of his instruments tattooed on his body; that’s how special they are to him. It’s that level of love for an instrument that he wants everyone to experience. No stranger to the unconventional, Moses has worked on instruments from around the world like the oud, Cavaquinho, Charango, and balalaika. Because of his reputation as one of the top luthiers in the state, he has worked on thousands of instruments, as well as, guitars for many touring bands including Molotov Solution, The Vibrators, and Imagine Dragons. When he isn’t building and repairing, he is playing mandolin in FOLK HOGAN, and guitar in Turtleneck Wedding Dress. At night he gets to hang out with his immensely talented wife, Toe; and their parrot Duke. Gary has been playing and fixing his own guitars since he was 13. He started doing repairs professionally in 1987 and in 1993 he made the decision to do repairs fulltime. In 1998 he became certified by Gibson, Ibanez and Fender to do warranty work and is still certified to do work today. He has worked on every guitar you can think of and also does work on mandolins and banjos.